Hasbro has recently been hinting that they have big things in store for collectors with retail partnerToys”R”us, but I can’t say that I expected the kind of sale that I stumbled onto today. Looks like they’re doing whatever it takes to move out all the Clone Wars and Legends figures that are hanging on the pegs in preparation for the new lines launching in a few months – but just how good were the prices I saw today? Head on over to the forums to find out. StarWarsShop.com is having a one day sale offering 20% off all in-stock items! Discount is automatically applied during checkout. The Clone Wars Season Finale Airs Tonight! Boba Fett and the bounty hunters are back as Season Two of The Clone Wars closes out tonight with two action-packed episodes: R2 Come Home and Lethal Trackdown. Don’t miss tonight’s exciting conclusion! Sideshow Collectibles is again holding their May the Fourth Be With You Giveaway where one lucky fan will win themselves a Life Size General Grievous Bust! Plus, get a glance of an upcoming collectible from a galaxy far, far away in a brand new Production Peek video! Gentle Giant has revealed this year’s SDCC Exclusive mini bust through G4’s Attack of the Show: the McQuarrie Concept Darth Vader featuring 3 interchangeable heads! AOTS is also offering a special bronze painted version of this piece as a giveaway through their website, with the winner being announced on tomorrow night’s Attack of the Show! Sideshow Collectibles’ newsletter tonight has revealed the next figure in their expansive 12″ scale line: Captain Rex! Look for priority preorders to start next Friday at 10am PT for newsletter subscribers. We’ve also got tons of new peorders, so take a look and order now, and you won’t have to hunt them down in stores. Included are the GI Joe Resolute Cobra 7-pack and Joe 7-pack, the Force UnleashedVader Mini-Bust, Star Wars Jabba’s Palace Bookends, and the Star Wars Trash Compactor Bookends. And as always, check out the Past Generation Toys Blog, PGT on Facebook, and PGT on Twitter. This week we’ve got coverage of the 2010 Chicago Comics & Entertainment Expo! K & C Collectibles has received new Legacy Action Figures and Clone Wars Action Figures. The Yakface/Hasbro QnA returns this week with the answers to questions submitted back on February 26th. Head to our forum to find out more details regarding the new Endor Rebel Trooper and when, if at all, we can expect a re-release of the Utapau Clone Trooper for the basic figure line. Over at Sideshowtoy, they have IN Stock the new 12″ Anakin from the Clone Wars Sideshow Exclusive version.. So if you are interested, head on over and pick one up. For all our readers in the UK that are concerned about the availability of the TFU box sets at Toysrus, Yakface moderator Paulskywalker received some good news directly from Hasbro. Their response to his question is worth a read. As for local news on these sets, they continue to pop up in the U.S. and I was lucky enough to score some yesterday at an area St. Louis Toysrus (the Sunset Hills store to be exact). Hi – Here is a quick update from http://www.bigbadtoystore.com about a variety of new arrivals as well as some great new preorder items! wide by 9″ tall, and is listed at $224.99, saving you $25 off the MSRP. 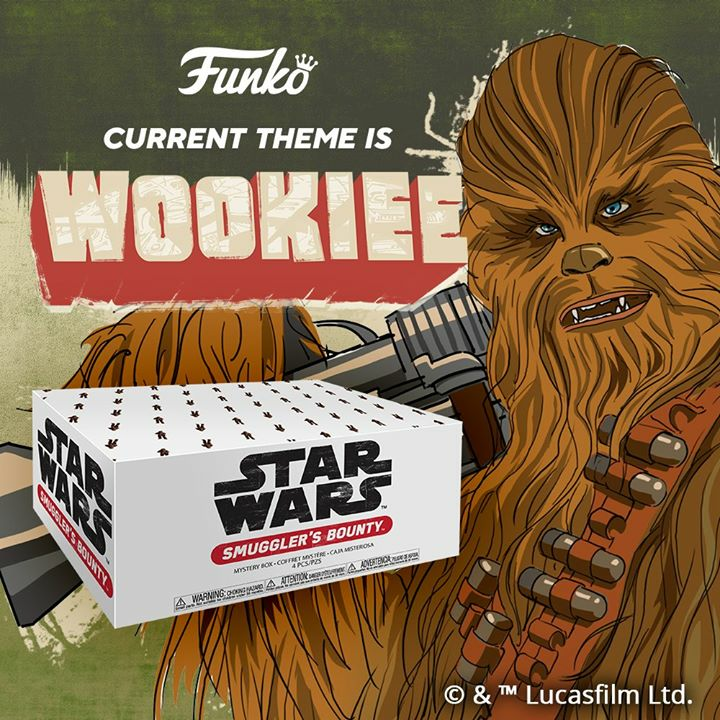 The second wave of Deluxe Star Wars Kubricks includes Chewbacca with goggles, Hot Han Solo, Hoth Leia Organa, Hoth Luke Skywalker, a Snowtrooper and R-3P0, along with the pieces to assemble a bonus AT-ST unit. We have the box of 12 listed at $199.99, or the Master Case of 48 (including chase figure) at $699.99, saving you $100 off the 4x box price. Sideshow’s latest diorama for Star Wars is the ‘Senate Duel’ which shows Yoda and Darth Sidious engaged in battle in the Senate chamber. This fantastic collectible is listed at $239.99, $10 off MSRP, and is set to arrive this fall. A number of new talking plush Star Wars characters have been announced. We’ve got the 4″ mini talking plush clip-on set of 4 (Darth Vader, Yoda, R2-D2, Chewbacca) listed at $35.99, as well as 9″ talking versions of all four figures at $19.99 each, and even a 15″ talking Yoda plush, priced at $39.99. This new bank shows C-3P0 and R2-D2 traversing the surface of Tatooine, and is priced at $23.99. The latest Clone Wars Animated maquette shows the Nautolan Jedi wielding twin green lightsabers. This statue is listed at $84.99, saving you $10 off the MSRP. This bust shows the Dark Lord of the Sith with his armor and outfit burnt and tattered, with exposed mechanics and more. This piece is listed at $53.99, $6 off the MSRP. Check it all out all the latest here. 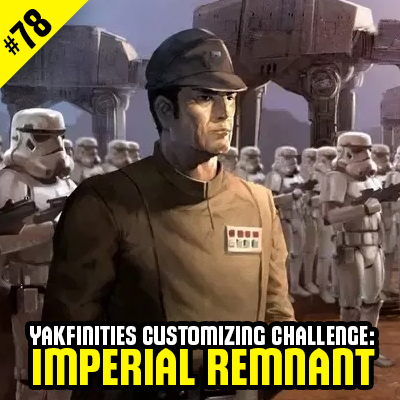 Voting for the next Customizing Challenge resulted in a tie – so now what? Let’s break the tie with a new ballot, and watch the two most popular categories duke it out to the bitter end. What are you waiting for? Make your vote count after the jump! 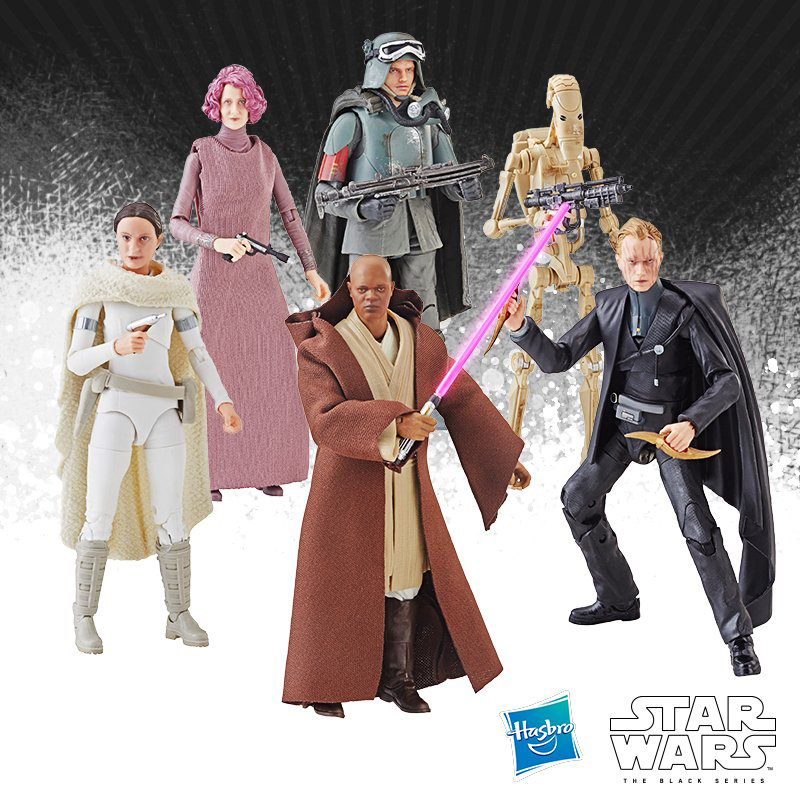 Toys”R”Us.com has added the 2 new The Force Unleashed Figures Pack to their online store. As of now, there are no pictures but each set is currently available and qualify for the buy one, get one 50% off promotion. Hurry and get yours today! Thanks to Adam for the tip! This has been an exciting week to be a Star Wars collector! 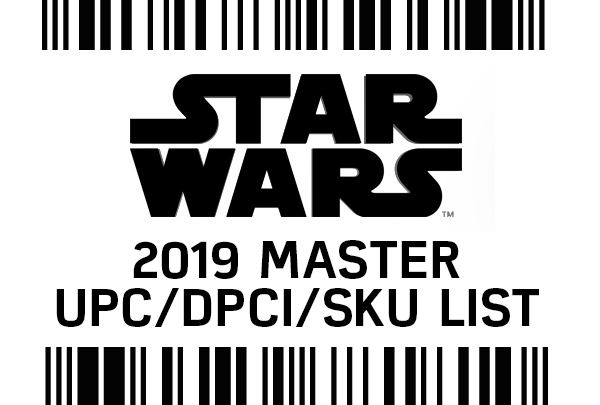 New items have been made available for preorder from Gentle Giant, Sideshow, eFX Collectibles, plus Celebration 5 exclusives and more! And with new Hasbro EU figures showing up as well, it’s been the busiest week we’ve had in a long time. Join Star Wars Action News as Arnie and Marjorie recap this week’s new release info. Also this week, Marjorie and Arnie were excited to find the Di Agostini Die Cast vehicles and figures were being made available in the USA. Arnie faced the music (and the Comic Store owner) and bought 7 of these vehicles. We review them this week to see if they should become part of your collection. With an EU recap of Choose Your Own Adventure stories, a review of the Japanese handbags, and more, it’s all on this week’s Star Wars Action News! Our spies have passed along a new list of yet to be announced goodies that are on the horizon for the line relaunched this fall. Here is a breakdown of few new battle packs, some of which were revealed at Toy Fair back in February. Also on the list are some new “Legacy of” sets as well as a listing for a certain vile gangster’s throne room and more! Note: Pricing and released dates are for the European market. Weigh in with your thoughts on this new list in here our forums. Newsletters from eFX Collectibles has started hitting inboxes and they are announcing a few new products. First, they are offering 2 new Precision Cast Replica Stormtrooper helmets: one as seen in The Empire Strikes Back and one Shadow Stormtrooper. The ESB PCR helmet is wearable, features green lens and will be available at Elite Collectibles and select retailers, while the Shadow Stormtrooper helmet, also wearable, will be sold exclusively through Cozmic Toyz and limited to just 501 pieces. Also announced is the Count Dooku Revenge of the Sith Precision Cast Lightsaber. This limited edition “stunt” version is slightly different than the EII design and features a new stand allowing for proper orientation when displaying. Today, Toys”R”Us is offering buy one, get one 50% off all Star Wars action figures, books and Lego construction sets. Offer is valid in stores and online – expires 5/1. Courtesy of eBay seller Star Wars Army Store, some great new loose images of upcoming figures from The 2010 Vintage Collection have surfaced – check them out after the jump! Tonight kicks of the final 3 episodes of the Clone Wars for Season Two and it also marks the return of Boba Fett. We get to witness a bounty hunter in the making as he teams up with Aurra Sing to wreak havoc on the Jedi as retribution for the loss of his father. Daniel Logan, who portrayed the young Boba in Attack of the Clones, reprises his roles and lends his voice to the series. Rest assured this is one episode you will not want to miss!!! From now until Friday – save 15% on everything we carry except ‘New’ and ‘Preorder / Backorder’ items! Thousands of items are on sale and we’ve just removed the ‘New’ designation from hundreds more. Graphic Novels, Vintage Department, Toys, Statues, Busts and many other items are included. Just browse through your favorite menus to view the sale items. Check it all out all the latest here. 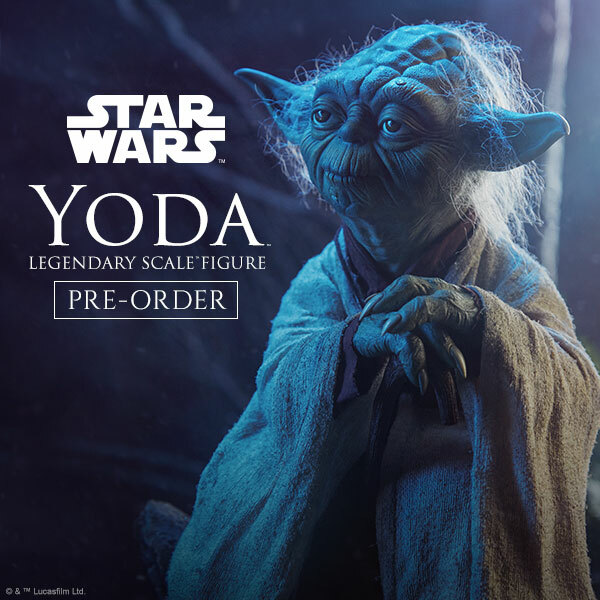 Pre-Order the New YODA vs Sidious Polystone Diorama Today! Over at Sideshowtoy… today’s newsletter will provide you with the chance to pre-order this new display piece… wow is it nice!!! The Official Site updates today with news that G4’s Attack of the Show will be celebrating Star Wars next week with exclusive clips, interviews and giveaways. Head to StarWars.com for the complete breakdown. The Official Site has updated tonight with the first look at the tie-in novel to the upcoming Star Wars: The Old Republic multiplayer online role-playing game. Head on over for a sneak peek at the cover and a synopsis of the story and look for Fatal Alliance it hit shelves on July 20, 2010. Is Yoda The Target of Starkiller in The Force Unleashed 2? The gaming website Gaming Target has posted an interesting theory that the mission of the upcoming The Force Unleashed 2 will center around Starkiller tracking down Yoda on Dagobah in an effort to wipe out the remaining Jedi. The theory is also supported by LucasArts website depicting Starkiller standing on the swampy planet’s surface with Yoda’s hut clearly seen in the background. Head on over for a closer look and then weigh in with your thoughts in our forums. DisPLAYabilityStands.com is very excited to debut their new product! The patented (patent pending) BDS (Basic Display System) products are now available for pre-order from various retail partners. The BDS (Basic Display System) is a customizable and portable collectible or knick knack stand which is a display, diorama, and playset all in one. These stands can highlight and enhance the pieces in your collections from small statues, mini-busts, die-cast cars, action figures and more. Whether you display your items or play with your items, you can find a use for DisPLAYability Stands! Look for their CDS (Constructible Display System) to debut late 2010! Please drop by their web site for more details. The Yakface Toyguide updates resume today with more backfilling of a few older waves from the Clone Wars line. The next figure up from wave 10 is Ziro’s Assassin Droid. PROS: One of the best figures in terms of articulation ever produced – well worth repeat purchases. Deco also very nice and overall design fits well into the realistically styled (non-animated) figure line. 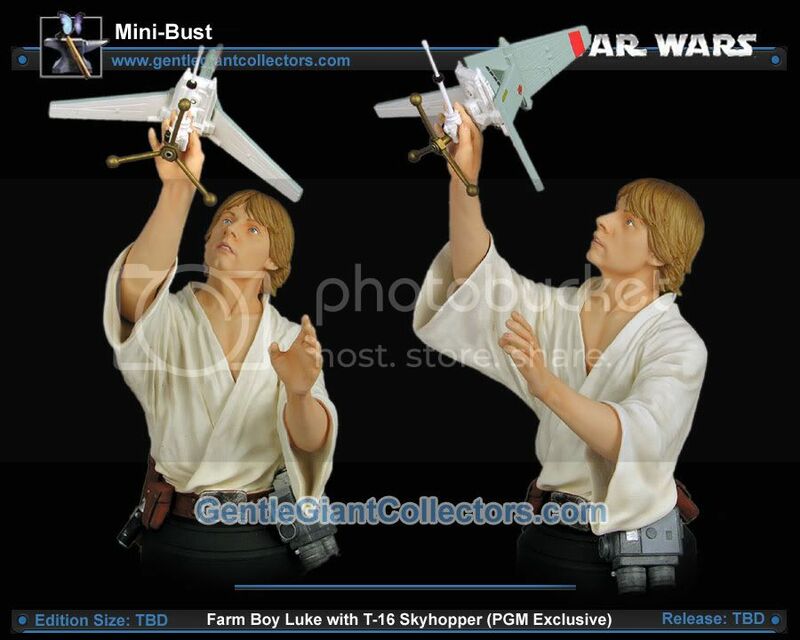 GentleGiantCollectors.com has posted new images of the PGM exclusive Farmboy Luke Mini Bust and painted versions of the Animated Commander Bly and Figrin D’an busts as well. It’s hard to recall a Hasbro toy that has excited the collector base as much as their recent announcement of returning to the Star Wars style that made it famous–the cards from the 70s and early 80s with Hasbro’s new The Vintage Collection. At Jedi-Con the first Vintage Collection figures were sold, the 4-Lom/Zuckuss reversed-name 2 pack, and this week on Star Wars Action News, Arnie and Marjorie provide the first hands-on review of this new figure style! Also this week, Jerry returns with his vintage reviews, continuing his look at the die-cast Kenner Micro Collection sets from The Empire Strikes Back. With a review of the Uncle Milton Optical Command Unit, two comic book reviews, news about Star Wars on Blu Ray, and a review of the Gentle Giant The Force Unleashed Sith Apprentice Mini-Bust 2-pack, it’s all this week on the Star Wars Action News podcast! Moving Sale (Up to 90% Off) and New Preorders from Past Generation Toys! Be sure to stop by and say hello to Past Generation Toys at the 2010 International GI Joe Convention in Rhode Island from April 30th to May 3rd. We’ve got a huge new sale with big savings on hundreds of items from various lines. There are GI Joes for $2, DC Universe Classics for $5, and Transformers for $3. You can find all these deals and more on in the Past Generation Toys Moving Sale! Check it out now before they’re all gone. Also new to the store are Living Dead Dolls preorders, so purchase now and guarantee that you won’t miss out on great characters like Beetle Juice. At C2E2 this weekend, Star Wars news go-to-guy, Steve Sansweet has officially confirmed the six film Star Wars Saga is coming to Blu-Ray. No release date was given but I’d expect more details at Celebration V. Head to Cinematial.com for the report. In addition to a few instances of the Expanded Universe wave being found at TRU the past week, our friends at Echobaseforums are reporting they have found the new highly anticipated box sets of figures from The Force Unleashed. Even better news is the reported price tag of $29.99 per set! Word on the street is these will be officially hitting on or around May 1st with the Expanded Universe Wave, but if you’ve got a TRU store in your area it might be worth your time to see if these are available already for you to add to your collection. Update – Forumite Darth Kikinou has already found these too. Happy hunting Yakkers! Production on the final installment in The Enloe Chronicles is set to begin in May, and previews of both the chapter and diorama construction will be available soon after. Until then, there’s still plenty of time to get caught up on the most recent chapter, BROKEN ORDER. Looks like the “Ambush” themed Clone Wars 2 packs that were first exclusive to Wal-mart have now found a new home at Toys”R”Us. Yakreader Brent P. sends us an image showing the Yoda/Jek and Thire/Rys hanging from his local store’s pegs for $14.99 each. So if you missed them the first go ’round, now’s your chance to get caught up. Sponsor News: Past Generation Toys – Moving Sale!!! Past Generation Toys Moving Sale! Prices reduced on hundreds of Star Wars, GI Joe, Transformers and other toy lines! Prices reduced by 20%-90%! Stop by Past Generation Toys today! Here is an update from http://www.bigbadtoystore.com about another big list of new arrivals and many more new preorders. STAR WARS LIGHTSABER CHOPSTICKS SERIES 2 – DARTH MAUL, MACE WINDU, LUKE The second wave of these interesting novelties includes chopsticks based on Luke Skywalker’s green lightsaber from Episode VI, Mace Windu’s purple lightsaber and Darth Maul’s red set, which even combine end-to-end like the originals. Pick up your favorites at $11.99 per set, or grab a set of 3 at $33.99. STAR WARS 1/4 SCALE PREMIUM FORMAT YODA & CLONE TROOPER This set has arrived and is already running low. It includes Yoda putting his lightsaber through the chest of a post-Order 66 Clone Trooper, and the lightsaber even lights up to duplicate the scene from “Revenge of the Sith”. We have this piece listed at $329.99, $20 below the MSRP. Check it all out all the latest here. Expanded Universe Wave Roll Out on 5/1? I managed to score a case of the Legacy Collection Expanded Universe figures today from my local Toys”R”Us and noticed something of interest on the case itself. It appears that there is a dedicated “Collector Endcap” scheduled to be set for May 1st so hopefully if your store has a low figure count right now, they might start receiving these cases soon to supply it. Click the image above for a closer look. Thoughts? Discuss HERE in the forums. Attention customizers! There’s still about two weeks left to get your entry in the current Yakfinities,SWOOP BIKERS. In the meantime, category voting has also begun for the next customizing theme, and if you’re registered in the forums you can cast your vote HERE. Reports are circulating that the final Legacy wave comprised of Expanded Universe figures, has started to hit retail at Toys”R”Us on the west coast, namely San Diego, California. Be on the look out folks as these figures are sure to be popular. The Yakface Toyguide updates resume today with more backfilling of a few older waves from the Clone Wars line. The next figure up from wave 10 is the Clone Tank Gunner. PROS:Upgrades the helmet sculpt from the Battle Pack version plus, he’s available in 2 flavors and it’s a cheaper alternative to the battle pack and Turbo Tank pack-ins. CONS: Not much new here other than a unique deco. Paul S Kemp is Star Wars’ newest author, and his novel Crosscurrent is making waves through fandom. It’s selling well and has gotten good reviews, but certain plot points are causing controversy and discussion with Expanded Universe fans. On this week’s Star Wars Action News podcast, we have Paul S Kemp on the show discussing why he wanted to write for Star Wars, and we go in depth on some of the book’s more controversial aspects. Also this week, we discuss the newest Star Wars TV projects, say why Star Wars 3-D should not happen, and we have a Hasbro Q&A! All this and more on this week’s podcast! New Review is up. This time Fate of the Jedi: Backlash by Aaron Allston. Check out the review here. 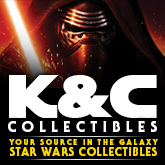 K & C Collectibles: 10% Off Your Order! K & C Collectibles is offering 10% off all in-stock merchandise for those orders over $30.00 until midnight April 15th, 2010 – Tax Day. Offer not valid on pre-order items and a Credit/Debit card must be used for payment. The discount code is taxday and must be keyed into the Discount Code field during the check out process. With more great custom work being shared in the forums, the Customizer Spotlights continue as we highlight the latest from Ernest Borgnine. Head on over to the forums and check out more of his awesome stuff here. 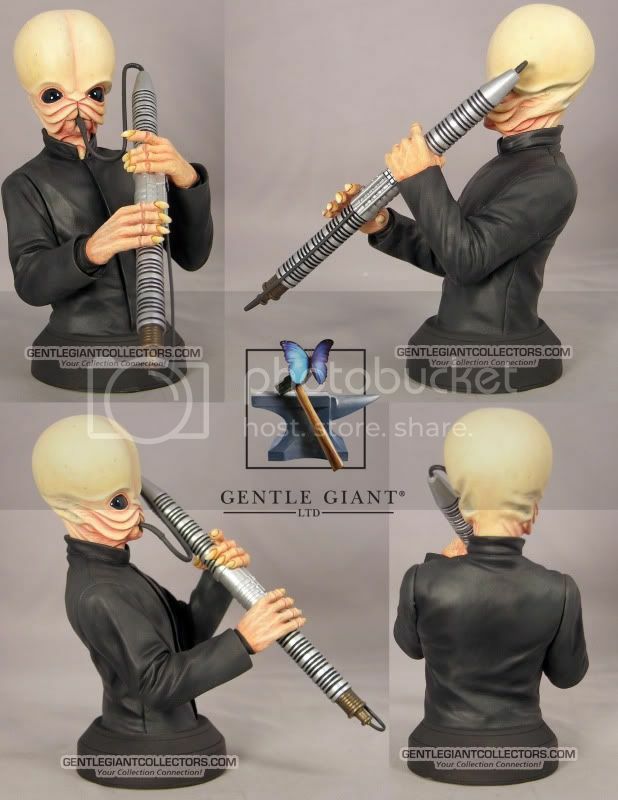 Our friends at Yoda’s News have posted first shots of an upcoming Clone Wars Commander Bly Mini Bust from Gentle Giant. Bly comes with a removable visor that will be able to be displayed on the figure’s helmet in the up or down position. You can see this mini bust in person at the upcoming C2E2 convention in Chicago at AFX’s booth, #767. Head on over for a closer look. Nine years ago, Creature Cantina opened its doors and sucked in fans with Bill Cable‘s original Star Wars comic strip. Although he has recently retired the comic strip, new things are in store for fans with the introduction of Collector-Z, a new series of laughs that Bill has introduced. Head on over and congratulations to our friends at Creaturecantina.com for inching one year closer to a full decade of sucking. The Yakface Toyguide updates resume today with more backfilling of a few older waves from the Clone Wars line. The next figure up from wave 10 is Padmé Amidala in Adventure Gear. PROS: Loads of articulation and far better likeness than the previous Padmé figure. CONS: Grappling Hook Launcher is a tad unwieldy. The Yakface/Hasbro QnA returns this week with the answers to questions submitted back on February 26th. Head to our forum to find out more details regarding the mysterious Cad Bane in Disguise figure and a confirmation of Oola as Jabba’s pack in. The Yakface Toyguide updates resume today with more backfilling of a few older waves from the Clone Wars line. We continue with the first figure from wave 10 (or wave 7 depending on your method of tracking) – the Shadow Squadron pilot – Matchstick. PROS: Removable helmet is a nice upgrade from the previous Clone Trooper Pilot “Odd Ball” and the distinctive deco makes for a great addition to the ranks. Looks great at the helm of a Y-Wing Bomber. CONS: Matchstick is pretty lonely with no other Shadow Squadron Y-Wing pilots to command. In Germany this past weekend, one of the biggest Star Wars conventions outside Celebration V was held, Jedi Con. Featuring the first chance for anyone to buy Hasbro’s new vintage style figures (the 4-LOM/Zuckuss reverse figure pack) and a bevvy of Star Wars celebrities, it was a Star Wars party not to be missed, and Star Wars Action News reporter Steve The Ginger Prince was there! Listen to his coverage of this *fan*tastic time, including a contest where you can win these vintage figures autographed by the actors who played 4-LOM and Zuckuss! Also this week, we continue our vintage coverage as Jerry begins a series looking back at vintage toys from The Empire Strikes Back. For this first installment Jerry looks at the Kenner Micro Collection of die-cast figures, and talks about some unproduced prototypes. Finally this week, Arnie and Marjorie review Sideshow’s “The Circle is Now Complete” Darth Vader vs Obi-Wan diorama and Uncle Milton’s Darth Vader’s Robotic Arm educational toy. It’s all this and more on this week’s Star Wars Action News! If you sent off for the Nahdar Vebb promotional figure, keep an eye on your mail as these have started to show up. Thanks to Yakface reader Rich N. for the heads up, who received five of the Mon Calamari Jedi on his doorstep yesterday. I received a letter in the mail today from the United States Post Office with bad news. Apparently the bubble mailer I had sent off a stack of forms to order a handful of the Eopie w/ Qui Gon Jinn figures somehow came open and the contents were lost. So Hasbro didn’t receive my check or forms, but I did get the check back. So consider this a heads up Yakkers, as the Nahdar Vebb promotion is still going – if you send off for it, be sure to quadruple tape your envelope as you don’t want THIS happening to you. The latest Customizer Spotlight goes to forumite darthmac, who has put together a great rendition of an Imperial gunner station. When a customizer puts together such a great setup, it makes one pray Hasbro will eventually do something like this! Unfortunately chances are they won’t; so if you’re wondering how you could create your own version, head on over to the forums for more pics and a detailed walk through of his process after the jump! Ghostbusters, Hangover and many other shirts listed. We’ll be adding shirts from many other properties soon, also be sure to check out the New Era Caps from Transformers and GI Joe. We’ve had a bit of an on-again-off-again situation with this wave of Star Wars Comic Two-Packs, but they have indeed arrived at long last. We have the case of eight two-packs, including one each of Bogey Squad, Commander Cody’s Lieutenant & Trooper, Black Hole Stormtrooper with Hologram, Tholme & Tra’Saa, Exar Kun & Ulic Qel-Droma, Darth Krayt & Sigel Dare, Luke Skywalker & Lumiya and Kyle Katarn & Yuuzhan Vong listed at $109.99. We also have singles available of all except Exar Kun & Ulic Qel-Droma, priced at $16.99 to $19.99 each. We’ve managed to get a number of this classic set from Star Wars Celebration IV at a good price, and we’re passing it along to you. This set includes McQuarrie Concept versions of C-3P0 and R2-D2 as well as a collectible coin, and is priced at $13.99. Sideshow’s latest 12″ Star Wars announcement is the 12″ 501st Legion Clone Trooper. This figure comes dressed in blue and white armor and includes a blaster and a rifle, and we have it listed at $84.99, saving you $5 off the MSRP. Check it all out all the latest here. JediInsider has posted an exclusive trailer for the Clone Wars Season Two Finale that was revealed at WonderCon over the weekend. Click on over for a glimpse at what is sure to be a can’t-miss conclusion to this ground-breaking season! To all of our readers, we wish you a safe and Happy Easter. And good luck on those egg hunts! Our friends over at Endor Express have been busy! Here’s the latest gallery of picture from Walt Disney World in Florida’s Star Tours here. If that wasn’t enough, they also have pictures and details on series 4 of the Disney/Star Wars cross over figures– can you say Boussh with mouse ears, and Series 4 of the Disney racers here. Gentle Giant’s 8.75″ Maquette of Obi-Wan takes its design from the Clone Wars Animated series and looks like it walked straight out of ther tv screen. Obi-Wan stands with his lightsaber at the ready, and he is priced at $79.99, saving you $10 off the MSRP. Check it all out all the latest here. Priority Pre-Order event for the Exclusive 501st Legion: Vader’s Fist Clone Trooper 12-inch Figure will be today at 10:00 AM (Pacific Time). Easter Weekend Sale and Tons of New Preorders at Past Generation Toys! Celebrate Easter with FREE shipping on orders over $65! But don’t wait to order, because the sale ends this weekend! We also have a lot more preorders listed this week, including brand new figures from The Clone Wars, Star Wars, the Mego style DC Superheroes Retro Action Figures, DC Universe Classics, Masters of the Universe Classics, and the exciting new Prince of Persia Lego sets! Three new preorders to keep your eyes on are The Atom, Jacen Solo, and Tytus, because each of these might become very hard to find in the future. And don’t forget to check out the Past Generation Toys Blog, PGT on Facebook, and PGT on Twitter, because we’ve got contests, reviews, news, and articles to keep you updated on the world of toys! Sideshow has chosen the day of Fools to give us a teaser of what we can look forward to for this year’s exclusives. All will be revealed on/around April 8th! Remember that the Priority Pre-Order event for the Exclusive 501st Legion: Vader’s Fist Clone Trooper 12-inch Figure will be on Friday, April 2nd, at 10:00 AM (Pacific Time). 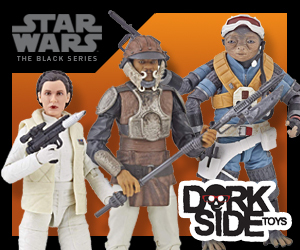 The Yakface Toyguide updates resume today with more backfilling of a few older waves from the Clone Wars line. We continue with the next figure from wave 9 – the AAT Driver Battle Droid. PROS: Variety is the spice of life, just ask the Grand Army of the Republic (or Tiger Woods). CONS: Spindly and often times deformed legs make standing this and most battle droids unaided for long periods a chore.